Moving the Reparations Bill for debate in Parliament yesterday, Prime Minister Ranil Wickremesinghe said the Reparations Bill was proposed to ensure reconciliation in the country and to provide reparation to the affected or aggrieved parties. “We have had a long history of conflict not only in the North, but also in the South of people who had disappeared and once we put this behind us, it is also necessary to find out what happened to them and give reparation to the affected parties,” he said. The Prime Minister noted that reparations had been a policy of the government since 1983, when the riots took place and the Rehabilitation of Persons, Properties and Industries Authority was established by law. He pointed out that reparations could be to individuals or collective reparation as defined in the Act. In addition, the PM noted that they would also take action on recommendations made by the Office of Missing Persons. This, he said, is the scope of the legislation that they have introduced to the House. “It is a needed piece of legislation,” he said. The Office of Reparation would be run by a Board of Four Members appointed by the President on the recommendations of the Council. According to Wickremesinghe, this much needed piece of legislation would look after the people in the North, East, South, West or Central province who have been affected or their families. “This piece of legislation covers all parties throughout the country and would ensure justice to all Sri Lankans. The objectives of this act is set out in clause 2 of this Bill and it says it is to formulate and recommend to the Cabinet of Ministers policies on reparations to grant individual and collective reparations to aggrieved persons. This Bill also covers those persons who have suffered due to political unrest and disturbances in the course of gross violations of the rights of individuals, people who have suffered due to the conflict in the North and East,” he noted. He added that there is much to be achieved by this piece of legislation because earlier when people suffered due to various riots and civil disturbances, there was no permanent mechanism for reparation for some of the damage that had taken place. Instead, he said there were add hock Cabinet papers that were presented, but those Cabinet papers did not ensure justice to all those persons who had suffered. “Hence, I think by the permanent establishment of a body by way of the Reparations Office, it is a laudable effort to address all those incidents that had occurred in the past. I believe that the scope of this legislation would be wide enough to all categories of persons irrespective of their community and political differences,” he said, adding that anyone in Sri Lanka who had suffered as a result of these civil disturbances, during any type of upheaval, would now have an opportunity to seek reparation. He stressed that human rights should be taken seriously for the sake of our own people so that their living conditions would be made better and they would enjoy the fruits of life. As a responsible government, he said these are matters that should be ensured in place so that the people could reap their benefits. UNP MP Hirunika Premachandra made a scathing attack on several private media organisations in Parliament yesterday. Taking part in the Parliamentary debate, she complained that her fundamental rights have been infringed upon due to deliberate misreporting by certain TV channels over court proceedings on October 8. She also plainly refused allegations on misusing Maganeguma funds, adding that newspapers have made false accusations against her. She requested the FCID to summon her and record a statement in that regard. She said that all her bank account information would be submitted to the FCID for perusal. She complained that Hiru and Derana media organisations are making false allegations against her in a very demeaning manner. She requested the Speaker look into the matter and take appropriate action to mete out justice to her. The Office for Reparations must have the freedom to act independently so as to formulate the policies and find avenues to offer reparations for aggrieved persons, Opposition Leader R Sampanthan said. Speaking during the Second Reading of the Office for Reparations Bill in Parliament yesterday, the TNA welcomed the new legislation as an important step towards true reconciliation, but at the same time, pointed out that the Truth Commission should have preceded the Office for Reparations. TNA MP M A Sumanthiran taking the floor, said the mechanism to ascertain the truth should have preceded the Office for Reparations. He also said that they fear that the process of reparation could be politicized due to certain provisions in the Bill. Opposition Leader Sampanthan pointed out that certain provisions in the Bill enabled the Government to play a role in the implementation of the policies formulated by the Office for Reparations. “This must not be a matter that must come under the Government,” he added. “The ascertainment of the truth, delivery of justice, the issue of accountability, reparations and non-recurrence are all fundamental components of the Transitional Justice mechanism. Financial reparations must be given to the people who need to be economically empowered. Some land is still held by the military despite the Government’s recent moves to release them to the original owners. The Office for Reparations must look into those issues. The long drawn issue of detainees in the custody under the PTA must also be resolved. Some of them have been convicted based on their confessions. Under the new Counter Terrorism Bill, confessions are no longer admissible before law. Then the Government should accept this position and apply it to the PTA detainees as well. The Office for Reparations could play a role to make sure their release,” said Sampanthan. The Office for Reparations Bill was passed in Parliament yesterday, with a majority of 16 votes. It received 59 votes in favour, while 43 votes against, following a division called by the Joint Opposition. The UNP, SLFP members in the Government and the TNA voted in favour of the Bill. The JVP MPs were absent. The Joint Opposition together with the ‘SLFP Group of 15,’ voted against. 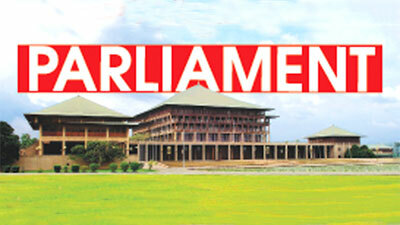 The Bill was moved for debate by Prime Minister Ranil Wickremesinghe. Foreign Affairs Minister Thilak Marapone moved further amendments to the Bill at the end of the debate. The definition of “aggrieved persons” in the Bill was amended in conformity with the Supreme Court determination. The Office for Reparations would be the second official mechanism to be set up to deal with the missing persons issue and post-war allegations. The Bill provides for the provision of individual and collective reparations for aggrieved persons. As per the Bill, “aggrieved persons,” mean persons who have suffered a violation of human rights or humanitarian law, their relatives and missing persons. Under the “individual reparations,” the Bill facilitates any monetary payment or material benefit provided to an aggrieved person, micro-finance and concessionary loans, educational programmes, training and skills development programmes, administrative assistance and welfare services, including psycho-social support provided to an aggrieved person, measures of restitution, including the provision of land and housing and other appropriate measures identified by the Office for Reparations. Under the “Collective reparations,” the Bill facilitates remembrance of deceased persons, including memorials, development of infrastructure, educational programmes, training and skills development programmes, community development programmes or services and other appropriate programmes as identified by the Office of Reparations in consultation with affected communities. The Rehabilitation of Persons, Properties and Industries Authority Act, No. 29 of 1987 would be repealed by the new Bill. The International Cricket Council (ICC) Anti-Corruption Unit has cautioned that as the Sri Lankan team consists of young players, they are more vulnerable to being exposed to match related crimes, but had not mentioned any of the cricketers specifically, said Sports Provincial Councils and Local Government Minister Faiszer Musthapha in Parliament yesterday. He said the ICC had had not mentioned names of any cricketer in the Sri Lankan Cricket squad in its detailed briefing, handed over to President Maithripala Sirisena, Prime Minister Ranil Wickremesinghe and himself, on the serious allegations of corruption in cricket in the country. The Minister said this in response to a question raised by the Chief Opposition Whip and Janatha Vimukthi Peramuna (JVP) Leader Anura Kumara Dissanayake, on the said report and ICC investigation into the Sri Lanka Cricket (SLC) under Standing Order 27/2. “I would wish to know what the contents of this report are. Has it mentioned the names of players? After the ICC presented this report to the President and the Prime Minister, reports were being circulated mentioning several names of players as match fixers. The Ministry did not issue any clarification on that issue either. What are the steps you have taken so far with regard to this ICC investigation into SLC?” Dissanayake queried. In response Musthapha said that he made a clarification that the report did not contain the names of players, due to investigations still ongoing. However, he said the media did not pay attention to his clarification. He said, “The ICC also requested us to establish necessary legal provisions to tackle match related crimes. Right now, only England, South Africa and Australia have such laws. I believe if we recognize national players and officers related to sports as state employees, we could take action for match related crimes under the Bribery Act. However, I have not discussed this matter with the Attorney General yet. I also requested the ICC to help us establish a technical centre to tackle these issue.